Getting closer to the weekend and that means 1 day closer to Friday. 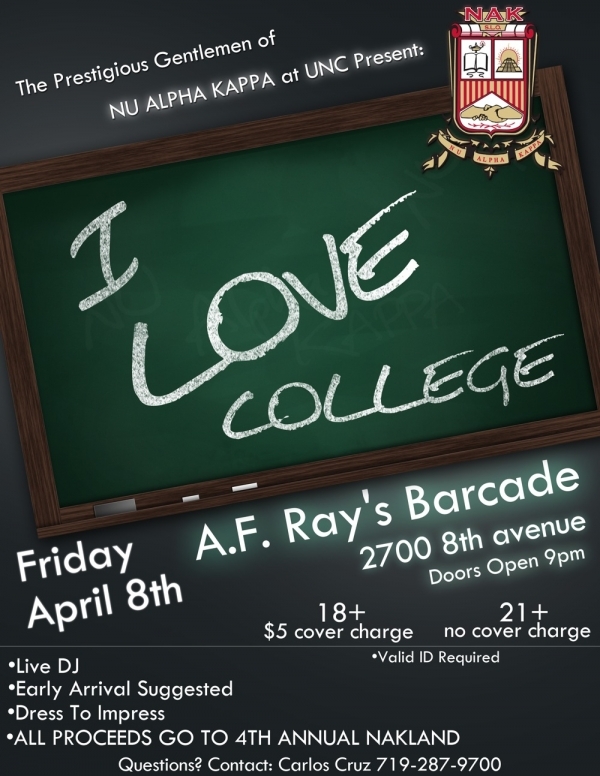 Check out Af Rays this Friday for the boys of NAK @ UNCs I Love College Party. Come early, come dressed to impress and come to get sauced. I might even hook you up with some potion. And yes its 18+.